President Donald Trump’s son-in-law Jared Kushner was the go-to guy in Trump’s scheme to use his friend’s National Enquirer tabloid to go after his political enemies, The Daily Beast reported. Trump’s friend David Pecker is the owner of the National Enquirer and American Media, which admitted to prosecutors that they made a $150,000 hush-money payment to Karen McDougal, a woman who says she had an affair with Trump, “in concert” with Trump’s campaign. The McDougal deal was arranged by Trump’s personal lawyer Michael Cohen, who was sentenced to three years in prison this week after he pleaded guilty to charges of violating campaign finance violations at Trump’s behest, bank fraud, and lying to Congress. After Cohen failed to land a gig in the administration after the election and then faced his own federal investigation, Pecker began to deal with Kushner as Trump’s point man. “Shortly after the Trump presidency began, Kushner and Pecker talked repeatedly, on subjects ranging from relations with the Saudi regime, to possible dirt that the Enquirer had on Morning Joe’s Mika Brzezinski and Joe Scarborough, according to the four sources,” The Daily Beast reported. Last year, Brzezinski and Scarborough claimed that three Trump aides “warned” the couple that the National Enquirer would publish a negative story about them unless they “begged” Trump to intervene. The Daily Beast reported last year that Kushner was one of the aides. 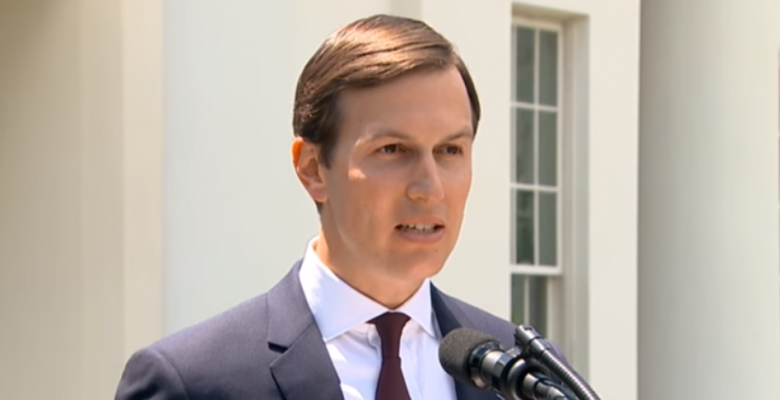 Reuters reported that Kushner is being considered for the chief of staff job as John Kelly prepares to leave the administration at the end of the year. Kushner is being considered after Trump was turned down by numerous other choices.